You may have already heard, we are planning on opening a second brewery on the Gold Coast! If you’ve been following us for a while, you’ll know our beer journey started out humbly – from three mates sitting around at the pub talking about doing a homebrew, to gypsy brewing our first recipe, Eddie’s Eggnog Stout. Things then got rapidly serious and in June 2016 we stepped up and opened our Brewery and Taproom in Burleigh Heads on the Gold Coast (the Taproom was 13sqm and we had 4 beers on tap!). After two years of operating from our Burleigh Heads location, we’ve achieved a solid foothold in the local market, with over 200 venues stocking our beer. We’ve also built the highest rated brewery venue in the local market, where hundreds of customers come every week to drink up to 14 unique beers in a working brewery, just metres from the beach and restaurant strip. To keep up with an ever-increasing demand for our beer, we already expanded our Burleigh HQ late last year. 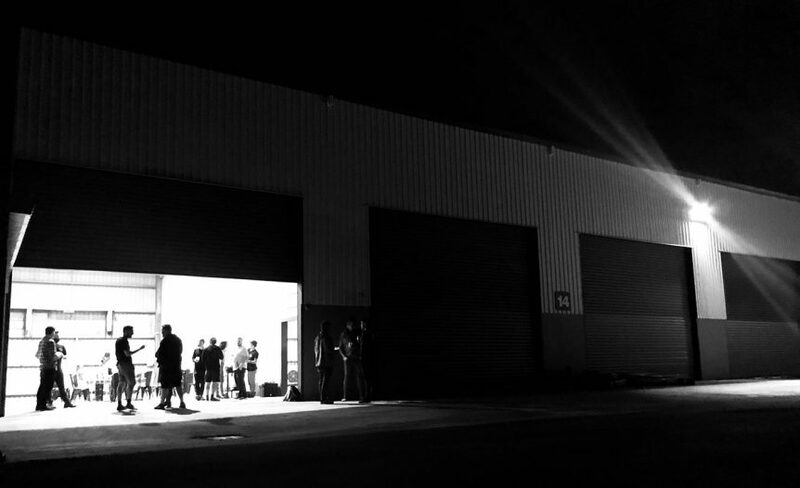 But having once again maxed out the tanks and used up all our storage space, the time was right to take things to the next level and start putting serious plans in place to open a second, much larger scale brewery here on the Gold Coast – Black Hops II. In this post we’ll run through our plans, and let you know what’s in store with this exciting phase of our growth. 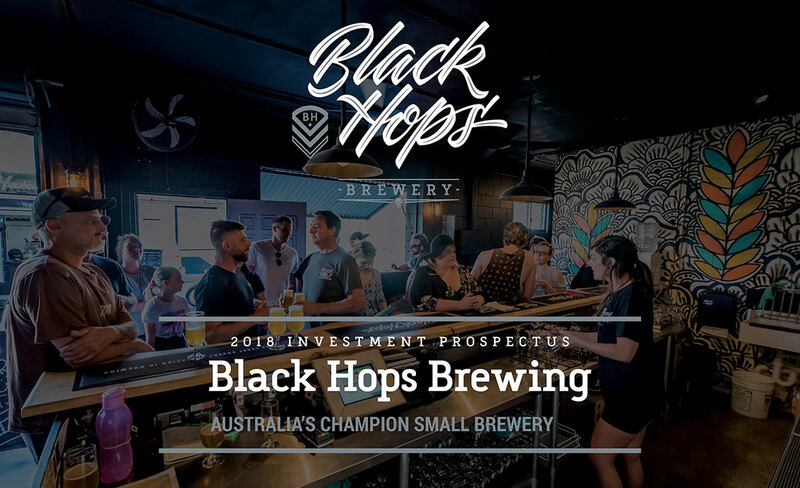 Black Hops II will be one of the first breweries on the north end of the Gold Coast, and potentially one of the bigger independent breweries in Queensland. It will be large enough for us to reach national distribution and compete on price and quality with Australia’s emerging leading craft beer brands. As we discovered when setting up the original Black Hops brewery (as well as its subsequent expansion), building a brewery costs money, and lots of it! When looking at exactly how much we’d need to open the second brewery, we worked it out optimistically to be somewhere between $2.5m and $3m. This is 10 times the initial budget we had for Black Hops, but still very much a shoestring budget for a brewery of this size. We spent a good amount of time considering the option of doing Equity Crowdfunding to raise some of the money. In the end we decided that the concept was a bit new in Australia, with very few successful projects and some significant technical hurdles and decided to give it a miss for now. We were able to raise some money by giving up equity via a private investment round, and some more via more traditional funding methods (asset finance). Equity crowdfunding is something we may consider towards the end of the year. While it’s very early days, we do have a fair idea of what we are looking to build and why. This is what we know so far. We explored a few locations for our next brewery, but with industrial land pretty limited on the Gold Coast there were only a few main options. We favoured the north end because of the amount of people and surrounding businesses, the growth in the area, the closer proximity to Brisbane and the lack of breweries and bars up that way right now. We started looking around the Arundel area and before too long we found something that met our needs perfectly. The original Riviera sheds in Biggera Waters were vacant, available and in a great industrial location, just off Brisbane Road. The building is on a huge block on Pine Ridge Road with a number of tenancies on it, both long and short term. Our component is a 1,300sqm warehouse with 8m ceilings and a 200sqm mezzanine for offices. It’s perfectly divided into a space on the left for a Taproom and a big open 1,000sqm space on the right for a brewery. It has plenty of parking onsite, high ceilings and good access. We loved it as soon as we saw it and while we did look at others, we kept coming back to this one as the location for BHII. The new brewery is going to be our production brewery, which will expand our volume from a potential 500,000 litres per year to multiple millions per year. So it had to be a fair bit bigger. At the same time, we didn’t have unlimited money and we still have a long way to go before we can realistically sell that much beer, so we had to weigh all of that up when designing our equipment. We ended up going with a 60 hec brewery with 180 hec fermenters; six at first, and potentially 20+ down the track. We are working with Alpha Brewing Equipment from the U.S. for the equipment. We are purchasing an 8-head inline canning machine which should enable us to empty a tank in one long day of canning. Down the track we would either get another one, or sell it and move to a larger (and significantly more expensive) rotary canning option. The Taproom will be around 150sqm and feature a 700L pilot system and fermenters, a U-shaped bar area and fixed tables and seating for around 70 people. We are once again operating on a very tight budget but we are hoping to produce something nice for the amount of money we have. We are ambitiously hoping to be up and running by early 2019. We are currently working with an engineer on plans for plumbing, trade waste and other required approvals. Once that is in place, we will begin fitting out the location. We’ve put the initial order through for the equipment which should be here within 4 months. For budgetary reasons we will be doing the design work in-house and again calling on friends, families and our preferred tradies to help us out with the build. We have the keys to the building and can do a small amount of preliminary construction on the Taproom but can’t do much else until our Plumbing and Trade waste plan is approved. The plan is to submit that application this week. 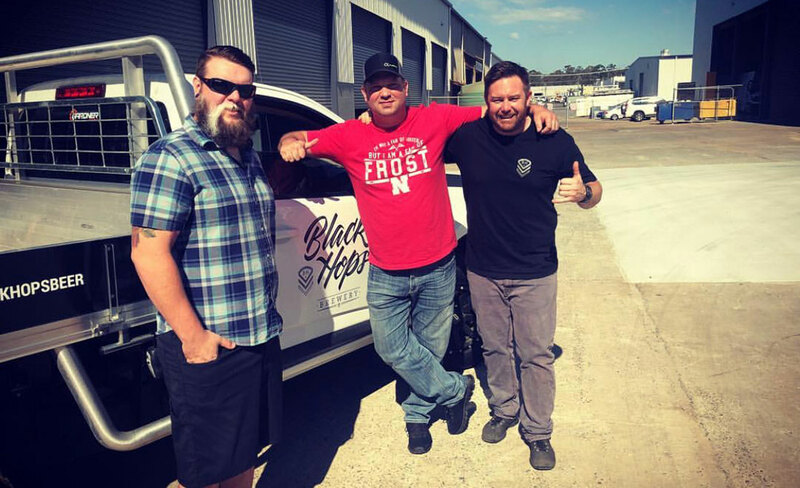 As we continue to grow the Black Hops brand by opening the new brewery, it will be business as usual at the Burleigh Brewery and Taproom, aka Black Hops HQ. We love the location we’ve built up and the local support and following and we want to continue with that long after we build our production brewery. We’ll also continue to brew plenty more specialty beers on our pilot system and build on our barrel program. 2018 has already been massive for us – taking out the 2018 AIBA Champion Australian Small Brewery award has been an undoubted highlight. We are in an industry that is growing at over 10% per year and only scratching the surface when compared with early adopting regions like the United States. 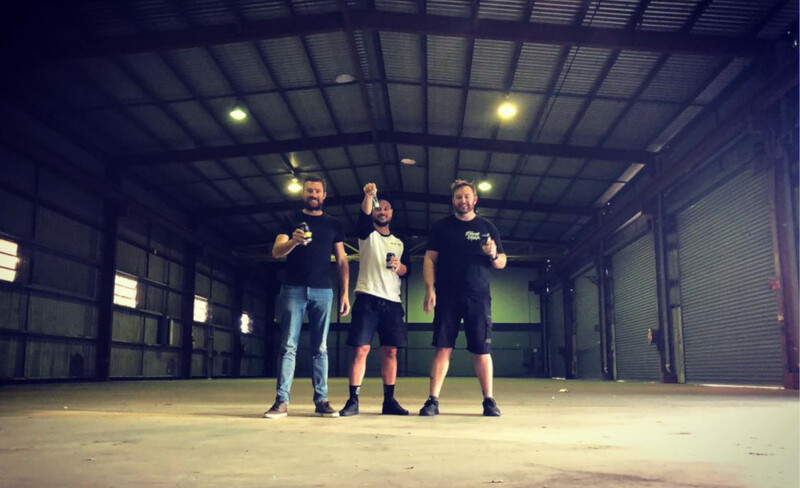 We’re damn excited to be on this journey, and opening our second brewery is another stepping stone on the road to achieving our future growth plans, in particular getting our beer out to the rest of Australia. If you have any questions, feel free to ask in the comments, or follow the journey more closely on our social media channels or in our Facebook Ambassadors group.